Craft cocktail lounge in the Hotel Palomar, with small plates by former Top Chef contestant Heather Terhune. If I were a guest at the Hotel Palomar I'd be thrilled to find the chic but cozy Sable lurking just off the lobby. The menu, designed by chef Heather Terhune for sharing, is haute comfort food: pork belly BLTs, bacon-wrapped dates, short-rib sliders with a root beer glaze. But it's the drinks that are tremendous. Sable opened under Violet Hour veteran Mike Ryan, and the drinks program gives classic cocktails a workout with concoctions like the War of the Roses, a perfect balance of Pimm's, St-Germain, Tanqueray, mint, and house-made grapefruit bitters. The pisco sour was possibly the best I've ever tried, just sweet enough and bracingly strong, topped with a stiff cap of egg white. Even the Bridal Shower proved to be a stiff, refreshing cooler of Campari, vodka, rhubarb syrup, and plenty of fizz. Challenged to create a cocktail with mojo, Pito Rodriguez of Sable Kitchen & Bar turns to a family recipe. Sable bartender Alex Renshaw brings applejack for the teacher. 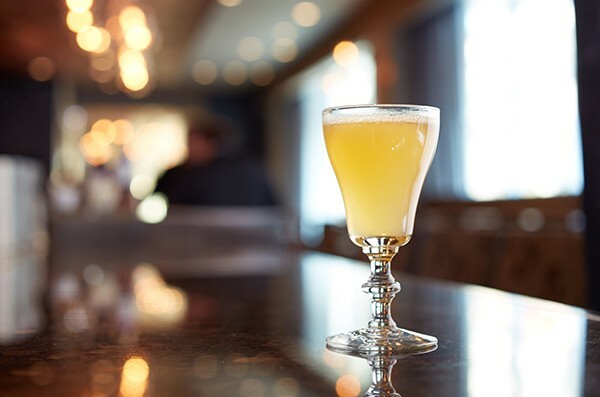 Lisa Selman of Little Market Brasserie crafts a tequila-based eye-opener with unfermented grapes.